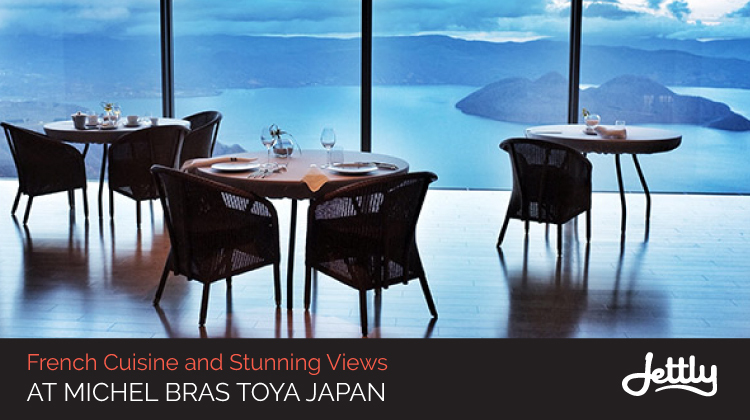 Enjoy authentic French cuisine in the middle of the Pacific Ocean at Michel Bras on Japan’s Lake Toya. This two-star Michelin restaurant is the first established branch of the leading Michel Bras restaurant in Laguiole, France. Michel Bras TOYA gives patrons a sensory dining experience highlighting brilliant colors, flowing movement, aromas, and, of course, excellence. Plus, the view of Lake Toya is simply incredible. Michel Bras is widely credited for creating a vibrant vegetable dish known as gargouillou which has influenced an entire generation of chefs around the world. Mr. Bras drew inspiration for the unique dish during a run in the French countryside back in 1978. 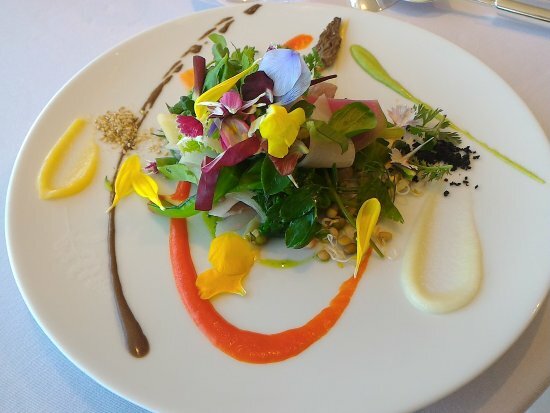 He loved the experience of seeking the mountains and valleys in full flower and decided he wanted to recreate that experience on the dinner plate. While gargouillou looks relatively simple to the untrained eye, the dish actually requires about 50 to 60 ingredients depending on what’s locally available each day. The result is a beautiful vegetable dish with vibrant flavors. Mr. Bras also invented another world-renowned dish known as coulant. This specialty dessert translates as “flowing” or “streaming.” And yes, that’s referring to flowing chocolate. The dessert offers contrasting temperatures, flavors, and textures which Mr. Bras says is known to invoke bliss. Michel Bras is self-taught and first learned cooking from his mother. Mr. Cantafio studied culinary arts and hotel management in Milan, Italy. He has since gained experience working in world-renowned restaurants in France, Australia, England, and Italy. To translate the Michel Bras philosophy in their Japan location, Mr. Cantafio studied and trained under Mr. Bras for many years. He strives to carry out the Bras philosophy at this location in Toya. Cantafio and his team do this by partnering with local farmers and producers in Hokkaido. They have great respect for the local community and want to display cuisine that properly represents Hokkaido. If you opt for their largest dinner course, Discovery & Nature, you’ll receive nine courses. The first course includes the famous gargouillou with young veggies, seeds, and herbs. Next comes another appetizer of steamed Botan-ebi (local shrimp), cheese, and carrots. After that, you’ll receive your first meat course such as grilled duck foie gras followed by a salad of pan-fried asparagus lettuce. Next is a second and more decadent meat dish of locally raised cattle with artichoke and bean purée. Finish off the night with dessert and an exquisite cheese plate featuring selections from both France as well as Hokkaido. The Michel Bras TOYA currently offers warm biscuit passion fruit coulant with white chocolate sorbet. Diners also receive a second dessert which includes creamy vanilla ice cream, fresh local strawberries, and local citrus in a chocolate wafer. The menu is seasonal, so expect the lineup to change depending on whatever is most fresh and locally available at any given time. Not feeling up to the full nine courses? That’s okay because the Michel Bras in Toya, Japan is open for lunch so you can enjoy lighter four- or five-course meals. Make sure to make a reservation because this 60-seat 2-star restaurant books up quickly. The atmosphere inside Michel Bras TOYA is low-key and simple. 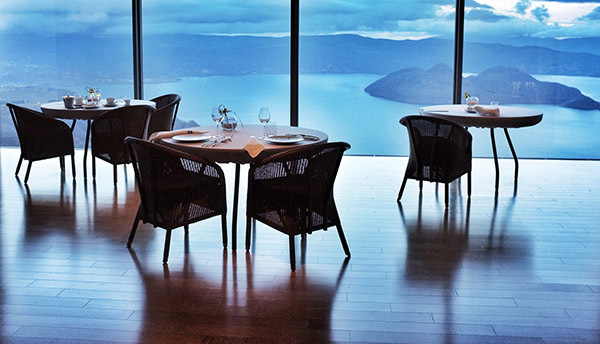 Instead of hefty centerpieces, chandeliers, and overpowering décor, patrons can soak up the amazing view of Lake Toya. This lake is actually a caldera, which means it was created by a volcanic eruption many years ago. In the middle of Lake Toya is the stunning Nakajima Mountain. Despite the Michel Bras class and elegance, the dress code is smart casual which fits well with the relaxed yet professional atmosphere. As the rest of the Bras philosophy goes: just sit back and soak up the moment. Don’t forget your camera and maybe bathing suit to enjoy a dip in the hot springs before dinner. Submit your flight request with Jettly today! At Jettly, you can browse thousands of flights and select private aircraft to fly anywhere around the world for one flat rate. That’s right: no extra fees, no hidden charges. Submit a flight request with Jettly today!